Nebraska has the distinction of being the only state in the U.S. where every single home and business receives electric service from publicly owned utilities such as municipal utilities, electric cooperatives, or public power districts. Nebraska has 166 different community-owned utilities. 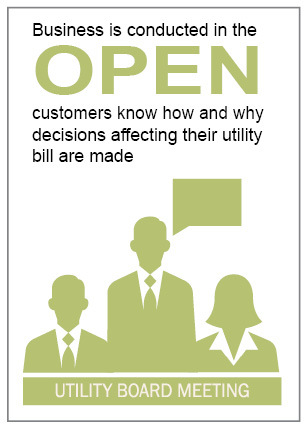 Across the U.S., over 2,000 publicly owned utilities serve more than 43 million people. On a national average, public power rates are lower than those of other utility companies. That’s because local, not-for-profit utilities have the power to put their neighbors first. 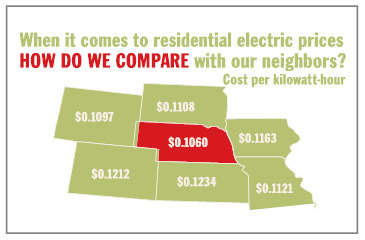 Keeping energy costs affordable serves every community’s long-term needs, and that’s what public power is all about. Locally owned utilities achieve affordability by setting rates using community-controlled boards that hold public meetings, as well as financing improvements with municipal revenue bonds that are exempt from federal income tax. Public power utilities can be an economic boom to smaller communities. Local payments made in lieu of taxes help lower everyone’s tax burden, and utility revenues get reinvested in programs and services that best suit local values and needs. Local public power utilities also create jobs. And since their office staff, customer service representatives and field crews are local residents, they’re able to provide the most reliable, responsive service. Local public power utilities and their employees contribute to their communities in many other ways, like offering energy efficiency programs for residents and businesses, creating partnerships with schools on energy education programs, and providing financial assistance for low-income services for qualifying customers. Public power utilities are uniquely positioned to help communities create wise energy policies. They also recognize an obligation to safeguard not just the environment, but regional energy resources and the economic wellbeing of the communities they serve. That’s why public power utilities invest in clean energy alternatives and renewable resources like solar, wind and biogas. And why they offer energy-saving programs, education, online tools and even cash incentives to help businesses and residents use energy smartly. For locally owned public power utilities, environmental stewardship is just part of making the community a great place to live, work and play.